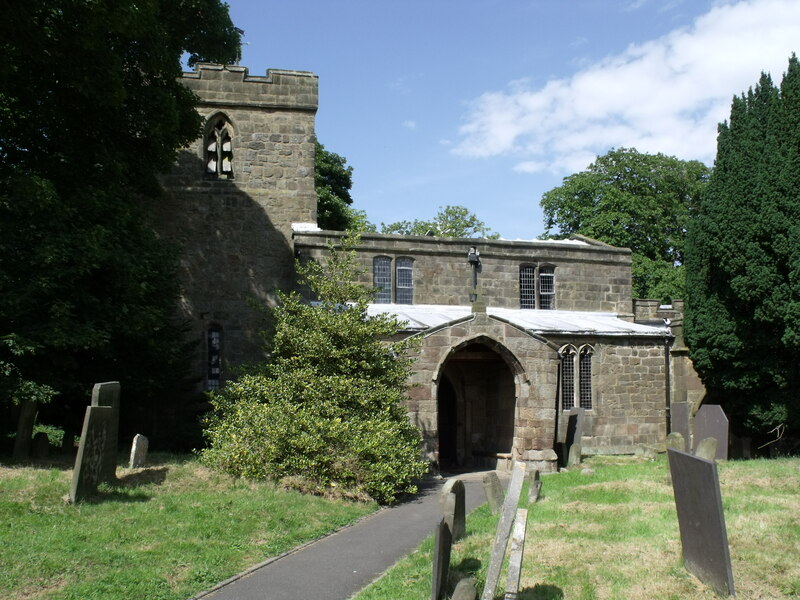 Not far from Idridgehay is the village of Kirk Ireton. 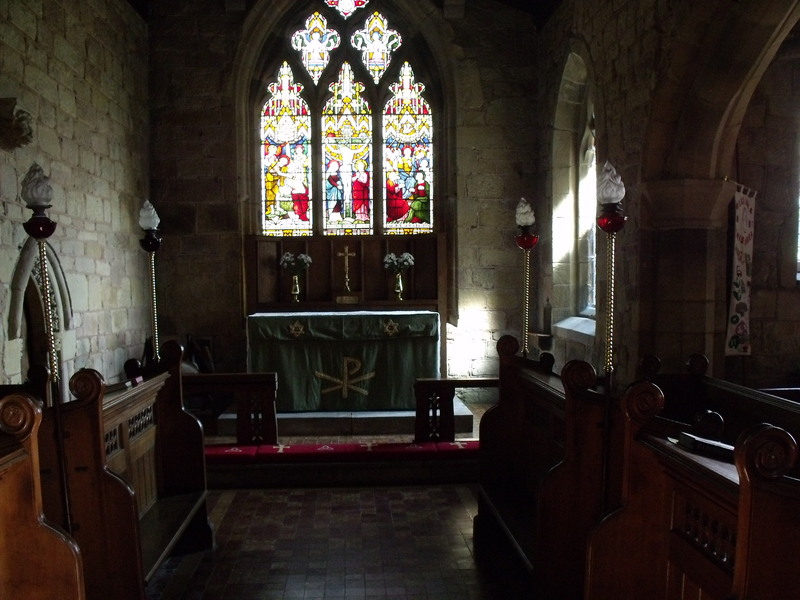 There is a wonderful atmosphere in this church – it is funny how churches differ so much in this way. Again, everything is spotless and well polished. The sign outside has the obligatory serve information. There is no guide to Holy Trinity and not much else really! Perhaps a place like this doesn’t need such things. It is a place to sit and enjoy the quiet and offer a prayer for whoever is on your mind. I always pray for those who worship and minister in each place – that seems important. Water is left in the font. 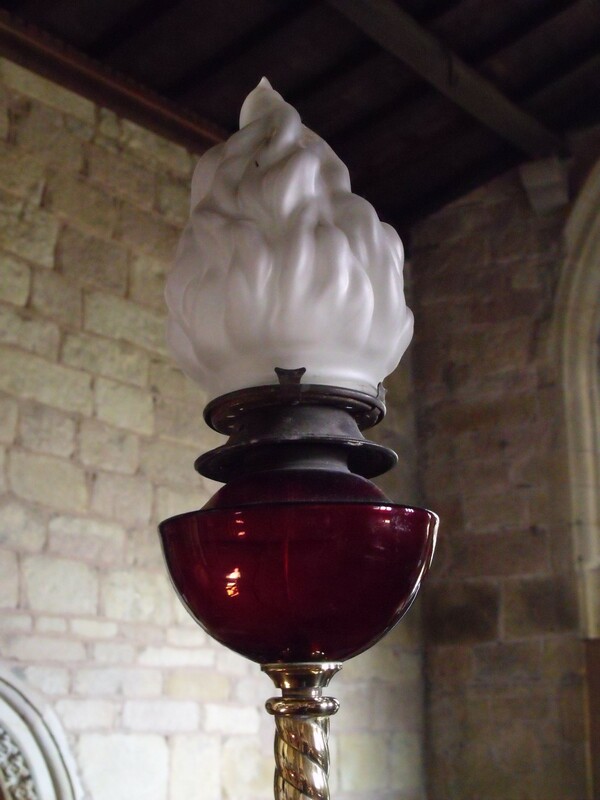 I don’t have much to say about Holy Trinity but there are some wonder lamps in the choir stalls! These look like they were originally oil lamps but have been converted to electricity. This church is worth spending time in. 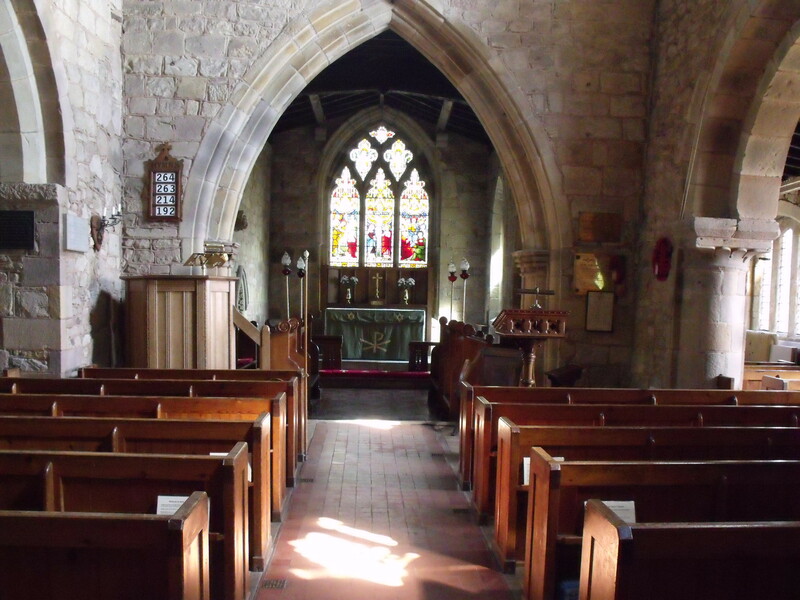 I have to rate it as poor -simply because there is nothing to cater for visitors but the shere fact of being open. Perhaps that is enough.